Canon develops an APS-H-size (approx. 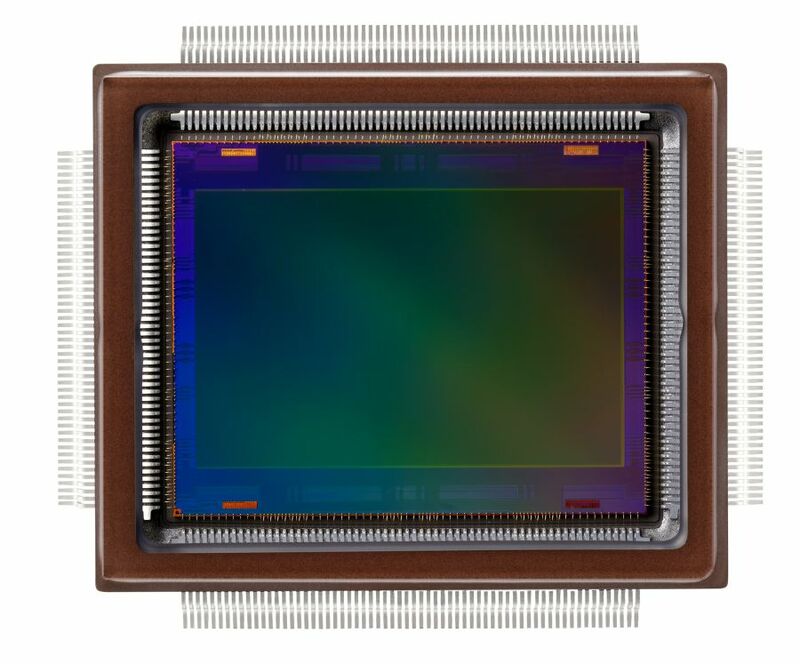 29.2 x 20.2 mm) CMOS sensor with approximately 250MP (19,580 x 12,600 pixels), said to be the world's highest number of pixels for a CMOS sensor smaller than the size of a 35 mm full-frame sensor. The new sensor achieves a readout speed of 1.25 Giga-pixels per second and can capture a full resolution video at a speed of 5fps. For comparison, modern mobile sensors having 20MP resolution at 30fps frame rate achieve 0.6 Giga-pixel per second speed in a mobile phone form factor. BBC publishes fairly critical report on Canon announcement. Let me congratulate Canon on the announcement. Great to be pushing the envelope! Wonder where this was fabricated! BSI? Maybe the old Panasonic FSI fab? The BBC report is silly, complaining mostly about 5fps readout speed. If this sensor was in an affordable DSLR camera I am guessing there are a lot of photographers that would be interested. Anyway, like the large pixel sensor Canon experimented with a few years ago, this is all about exploring new territory. Good for Canon! What readout speed does BBC think a 250MP sensor should meet? 30fps? Ok, at what power consumption and bit-rate? This is the problem with media websites that don't understand technological constraints, but whine about technical performance parameters. Commendable job Canon! What sort of lens can resolve 8467 line pairs per inch? Even half that is still hard to find. How noisy are these 1.5 micron pixels? Did they make this sensor with Canon's usual 0.5 micron design rules, implying that only 1/9th of the sensor is active sensor area? When did 5 fps qualify as video rather than a low-end SLR burst rate? It's a cool demo, but the usefulness is questionable. Mr. Harris, as long as, there is some fps, it is qualified as a video. It is a different case that a human eye can only see a minimum fps, but that is never stated as the only application of this sensor. Don't whine about the design rules - you will be surprised by the technology used.. so don't make unsubstantiated claims. Mr. Harris with a little research you would know that the sensor was not fab'd in 0.5um design rules. To create any sensor that large with such high readout rates is a "on the leading edge" moment. Until lens resolving power breaks new barriers I would love to hear nothing more about sub spot size pixels. give me 3.5-15um pixels any day to layout and I'm happy. Just the same the full well, and noise issues are things that are being worked on and down the road some of this will make sense from a optical system perspective. Just the same, it was a big achievement to make all these moving parts work together sorta speak. And recieved the order to construct this Lens. (It was positioned against Canons fameous 200/1.8 (FD Mount). In field this Lens reaches an resolution of about 280Lp/mm. Will it be an f=2.8? or f=2.0? More pixels = less aliasing. Ideally the system should be diffraction limited at all apertures. Also consider the effect of colour filter array - the sampling is sparser than one might think. Anyhow, to have proper sampling a full frame (35mm) image sensor would need a billion or more pixels at wide apertures. Also, if the lens can resolve 400 lp/mm at some specified contrast level, it translates to 800 lines/mm which traslates to over 300 million pixels at black-and-white APS-C, much on with colour filter array.